Are you fire ready? 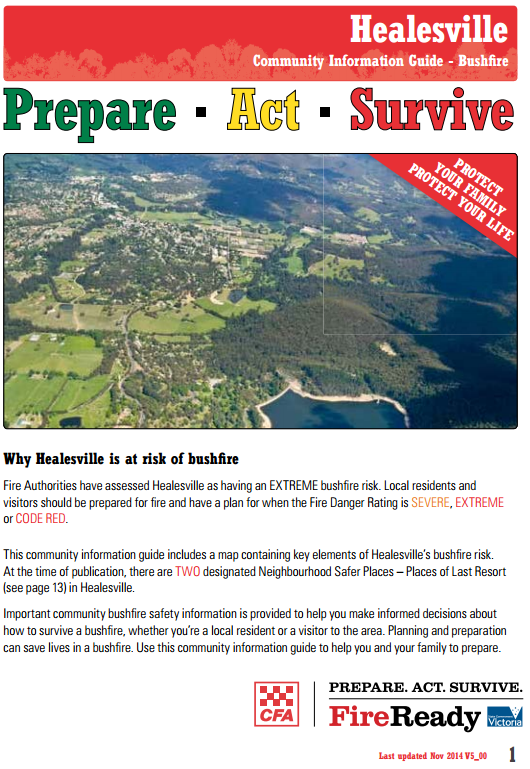 Make sure you speak to Healesville CFA this fire season. 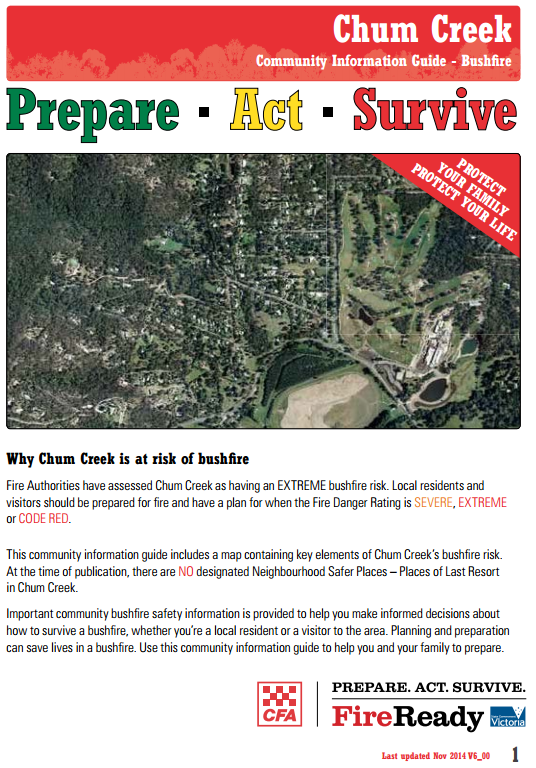 Please note that CFA postpones all community meetings when the Fire Danger Rating is Code Red, Extreme or Severe.